We received lots of wonderful feedback about this lovely oil when we used them as samples in our customer’s orders. It is an excellent moisturizer for softening dry, mature, and irritated skin. We scent it with a sweet apricot fragrance. 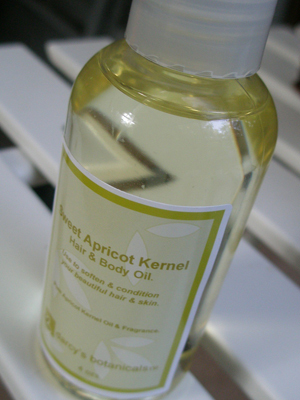 Apricot Kernel Oil is rich in essential fatty acids and vitamins A and E.
INGREDIENTS: Pure Apricot Kernel Oil and Fragrance.